Discover these exciting volcanic islands with the most incisive and entertaining travel guide on the market. You can take this handy, pocket-sized book out with you anywhere, any time. Whether you plan to explore the backstreets of Santa Cruz, relax on a black-sand beachor hike in the shadow of Mount Teide, Pocket Rough Guide Tenerife & La Gomera will show you the ideal places tosleep, eat, drink, shop and visit along the way. - Free pull-out map, as well as full-colour maps throughout - navigate the cobbled old town of La Orotava or work your way along Calle del Castillo in Santa Cruz without needing to get online. - Things not to miss - our rundown of Tenerife and La Gomera's unmissable sights and experiences. - Itineraries - carefully planned routes to help you organize your visit. - Independent, trusted reviews - written with Rough Guides' trademark blend of humour, honesty and insight, with options to suit every budget. 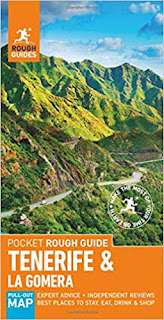 - Detailed island coverage - whether visiting the big sights or venturing off the tourist trail, this travel guide has in-depth practical advice for every step of the way. Chapters cover each area in depth, with all the sights and the best of the nearby shops, cafés, restaurants, bars and clubs. - Areas covered include: Santa Cruz; La Laguna; the Anaga; Candelaria andGüímar; Puerto de la Cruz; La Orotava; Garachico; the Teno; the west coast; thesouthwest resorts; the south coast; Teide; the interior; San Sebastián andPlaya de Santiago; Valle Gran Rey; northern La Gomera. - Attractions covered include: Barranco del Infierno; Costa Martiánez; Teide National Park; Parque García Sanabria; Icod de los Vinos; El Sauzal; Acantilados de Los Gigantes; El Encantadora. Essentials - crucial pre-departure practical information including getting there, local transport, leisure and sports, health, tourist information, festivals, events and more. - Background information - an easy-to-use chronology, plus a handy Spanish language section. 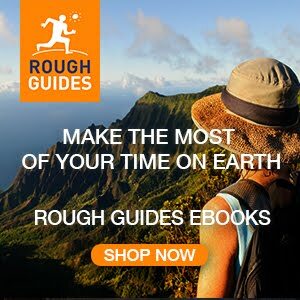 About Rough Guides: Escape the everyday with Rough Guides.